Followers are everything. After all, you need someone to listen to your tweets about last night's episode of your favorite TV show. But what about when people unfollow your account? Not only have you lost part of your follower base, you have no idea who left. Luckily, there are tools out there to help you learn just that, even if Twitter itself won't give up the info. There's a plethora of social media services out there that would love your business, but many of them are tailored towards big league users. That very well might be you, but if you're simply looking for an unfollow monitor, you might not want to pay the high fees associated with pro tools and services. What you want is a free or cheap way to see who abandoned your Twitter feed, and we've got options for you. 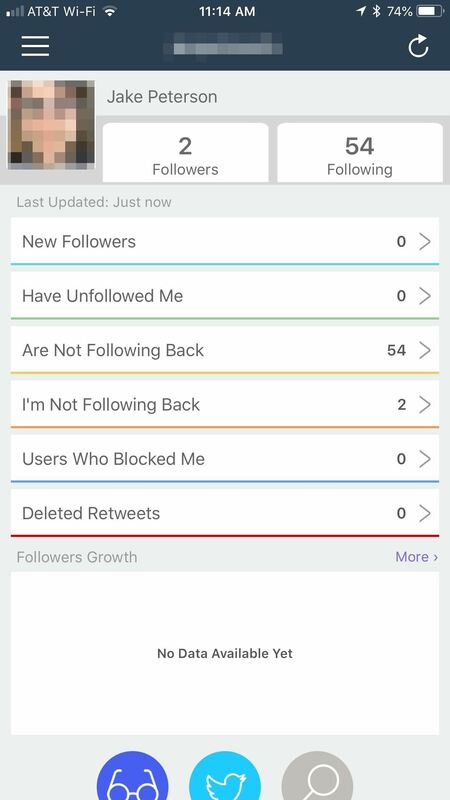 Besides having a genius name, Who.Unfollowed.Me has stood the test of time in helping users track those who unfollowed them. Originally launched in 2010, the service offers both free and premium options, which means most people should find a plan that works best for them. 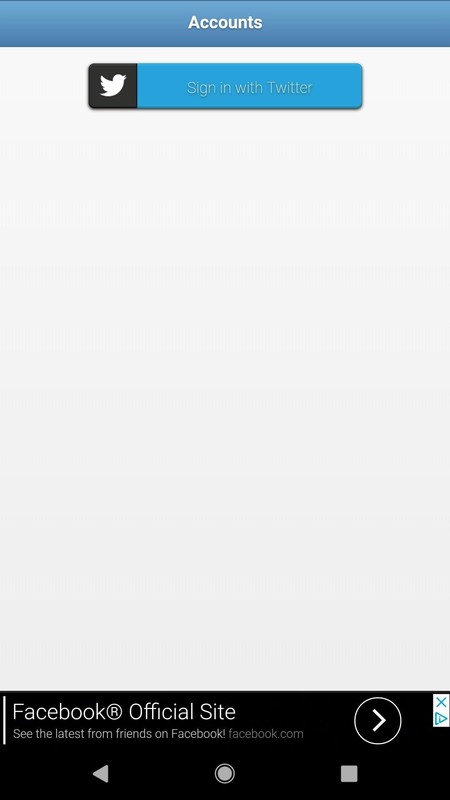 Who.Unfollowed.Me is a web app, not one you can find in a mobile app store. 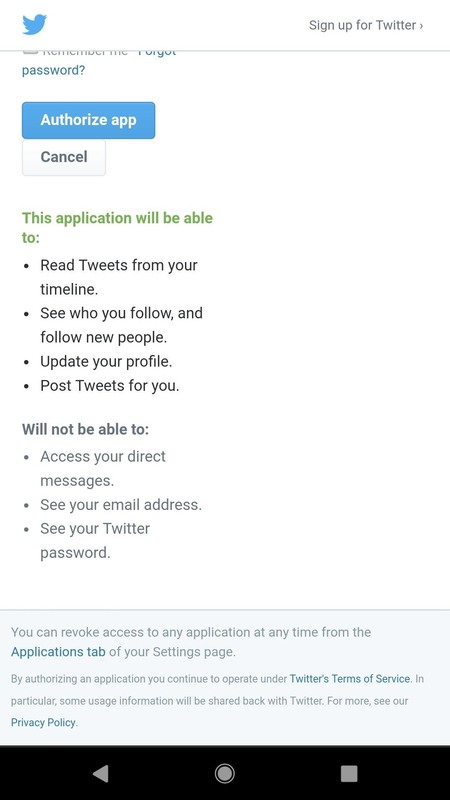 When initially signing up, you'll need to make sure you're comfortable with the permissions you give it, such as being able to update your profile and post tweets for you. The service claims it never posts on your behalf, but just know you are giving it permission to. 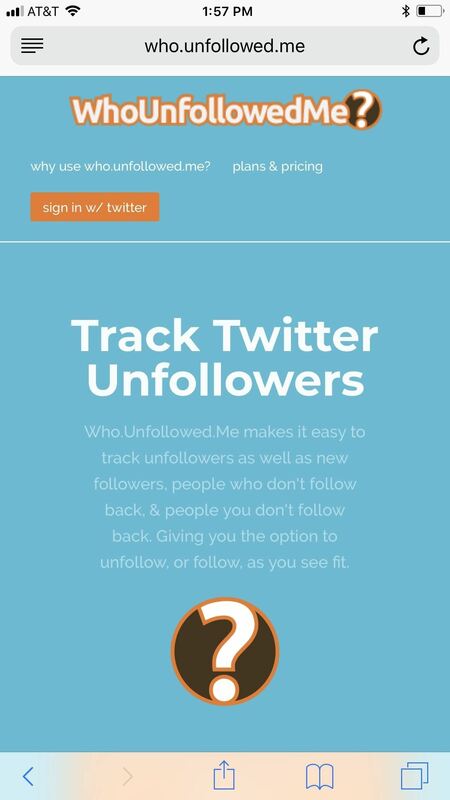 Once you sign up, Who.Unfollowed.Me gives you all of your Twitter stats, not just unfollowers. 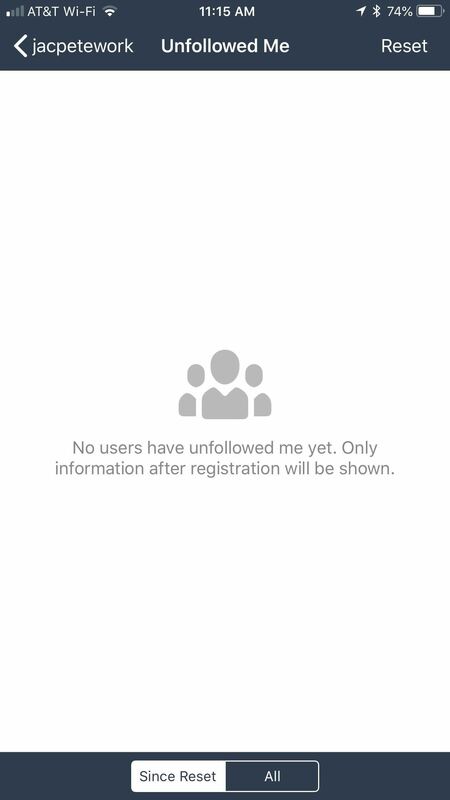 While you are limited to refreshing your stats every 15 minutes on the free plan, you can tap "See Unfollowers" at any time to see who has unfollowed you as far back as 30 days. 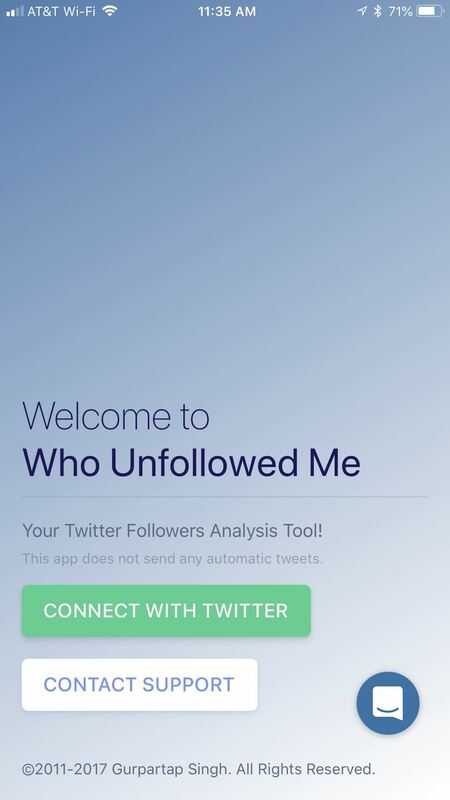 Not to be confused with the web app of (almost) the same name, Who Unfollowed Me on Twitter is probably the most professional monitoring app we've seen, at least aesthetically. 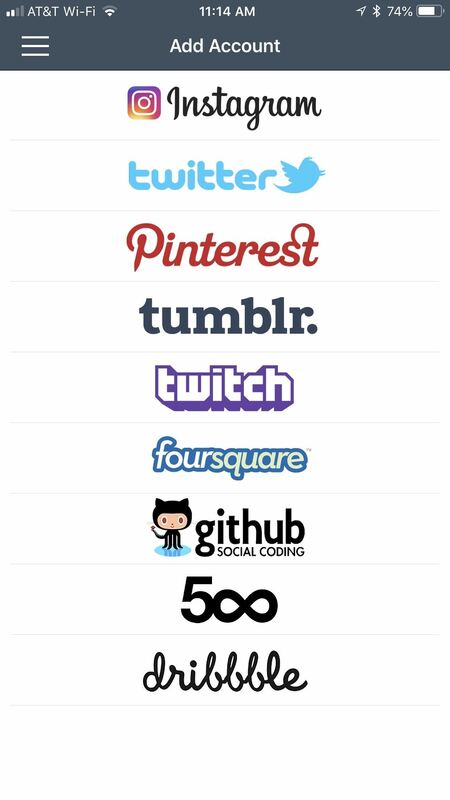 The app doesn't feel cheap, rushed, or outdated, and offers as good a service as the other names on this list. Speaking of those other names on this list, Who Unfollowed Me on Twitter requires you to give it the same permissions as the others. 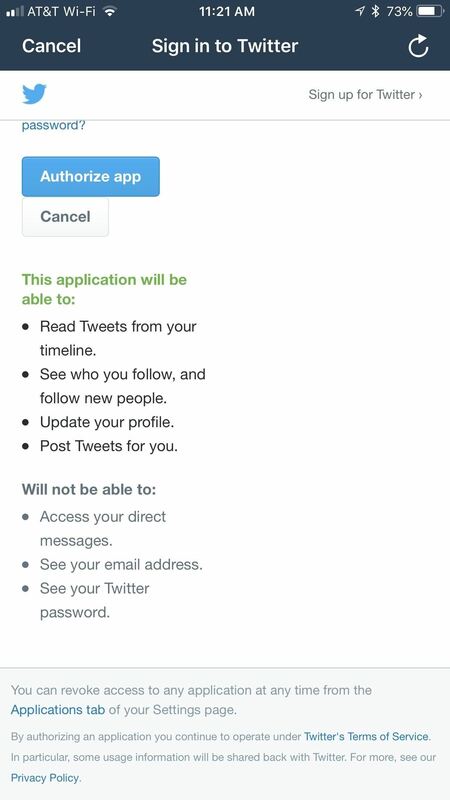 With no guarantees the app will not post tweets or update your profile without your knowledge, authorizing the app comes with some risk. 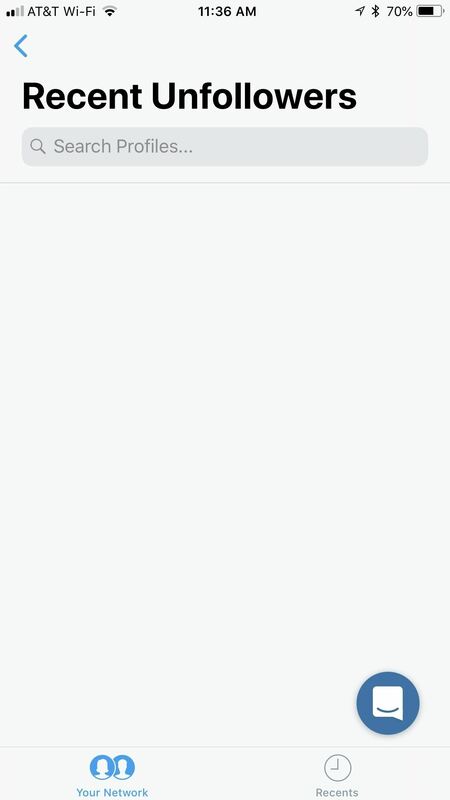 Unlike the web app in Option 1, Who Unfollowed Me on Twitter lets you refresh your stats at any time by tapping the arrow in the top-right corner of the display. 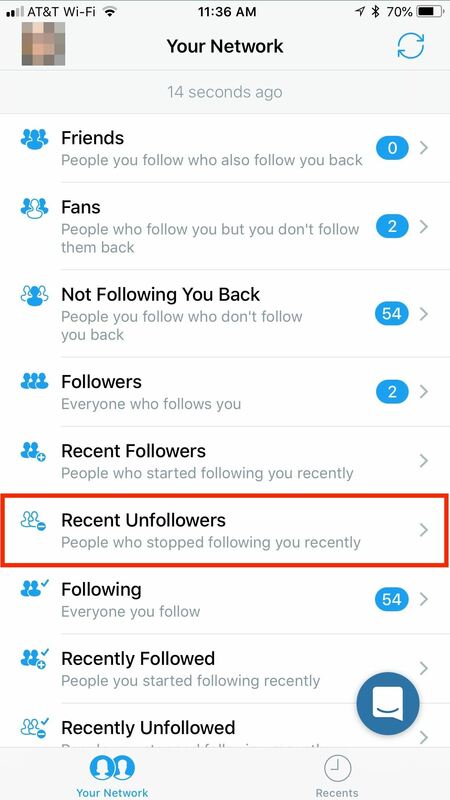 Besides letting you see stats like those not following you back, those you don't follow back, followers, and following, you can view "recent unfollowers." Who Unfollowed Me on Twitter does not specify how "recent" these unfollowers are, unfortunately, but nevertheless, you can check here. Followers + is another app available for iPhones. 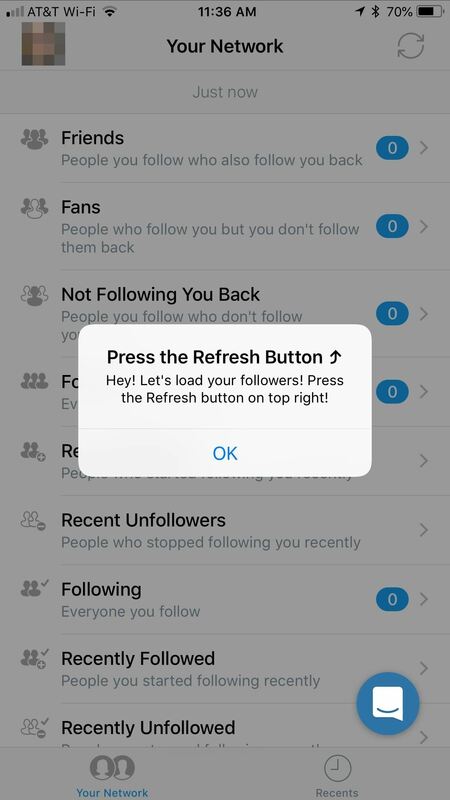 While there are paid options, the free option will work well for anyone just looking to monitor the unfollowers for one account. 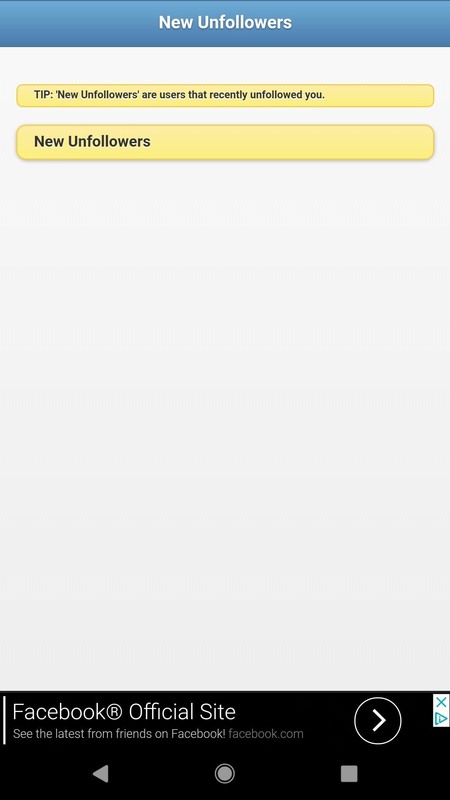 Once installed, signing in is as simple as tapping "twitter" from the list, tapping "Sign In," then logging in on the following screen. 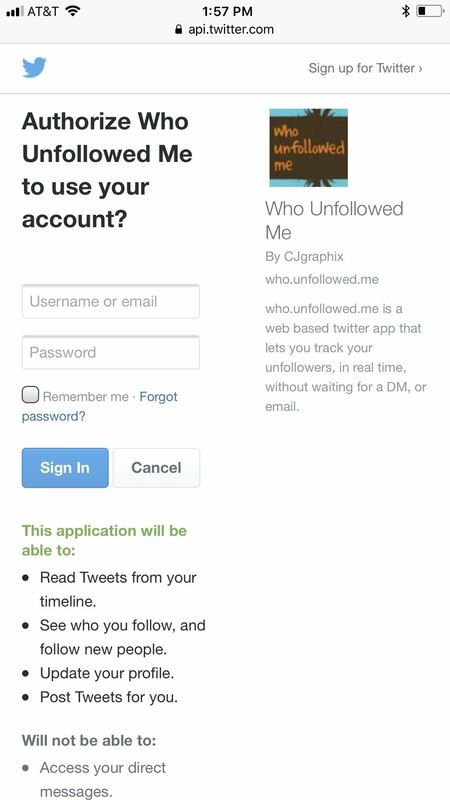 Just as with the above apps, Followers + requires some serious permissions before you can start tracking your unfollowers, such as updating your profile and posting tweets for you. Followers + does not disclaim the app will not post on your behalf, however, so take that with a grain of salt. 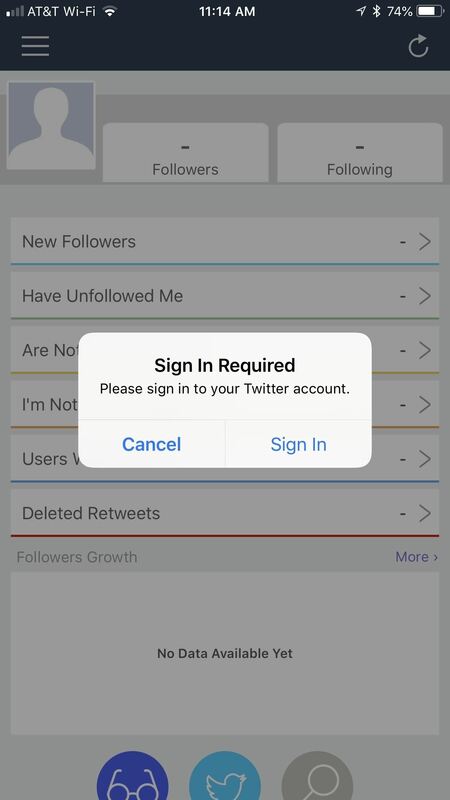 Once you've authorized the app to use your account, you'll be launched into the application, with access to all of your Twitter stats, such as new followers, those who aren't following you back, and, of course, unfollowers. 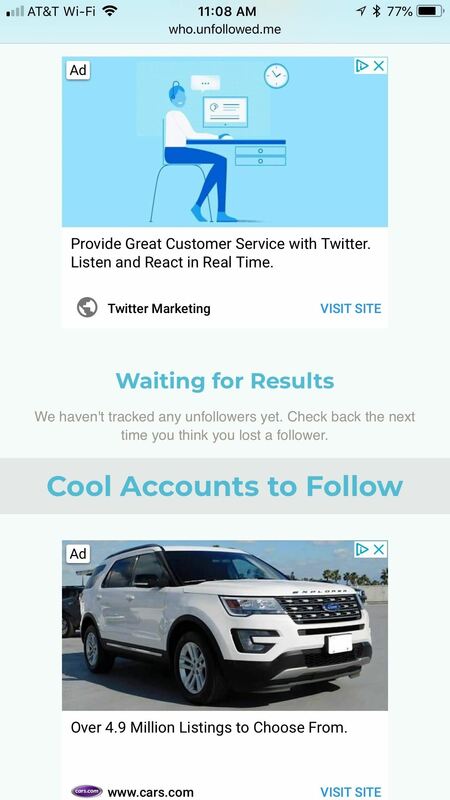 It seems that this service will only track unfollowers going forward, not those who unfollowed you before giving it access to your Twitter account. 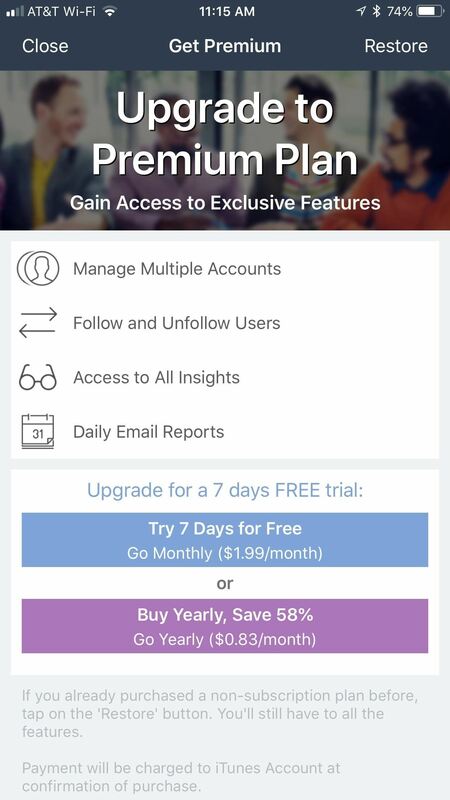 If you want to see stats for multiple accounts, as well as follow and unfollow users from Followers +, the premium options are relatively cheap. You can get a monthly subscription for $1.99 a month or a yearly subscription for about $10. Although it has a similar name compared to Option 3 above, this Followers+ for Twitter is made by an entirely different developer. Of course, it still offers the same service the other apps discussed — viewing those who unfollowed you. Signing in is quick, however, you do need to hand over access to your Twitter account. 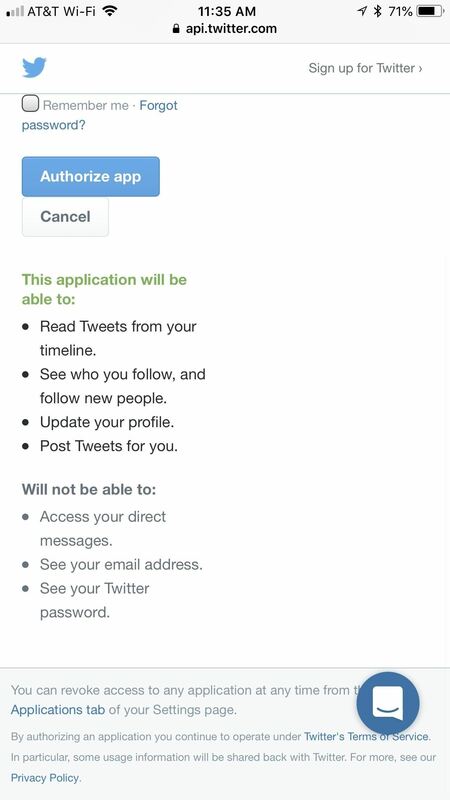 If you're comfortable knowing Followers+ for Twitter will be able to post on your behalf as well as change your profile, go ahead and authorize the app. 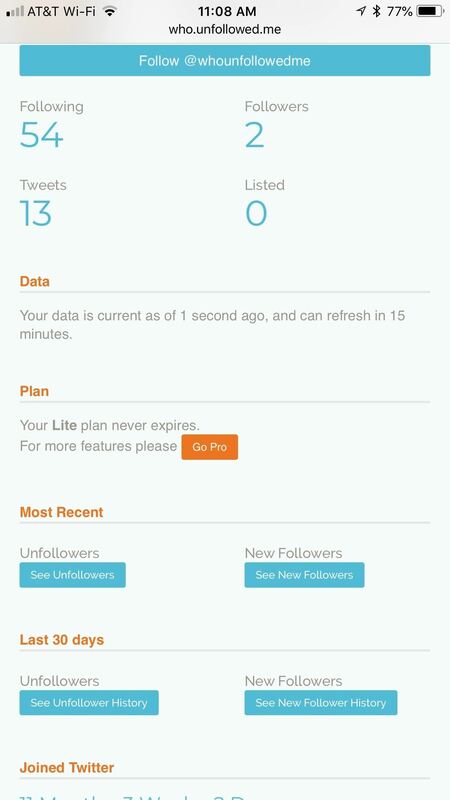 Once signed in, you can tap on your profile to view a variety of Twitter stats. 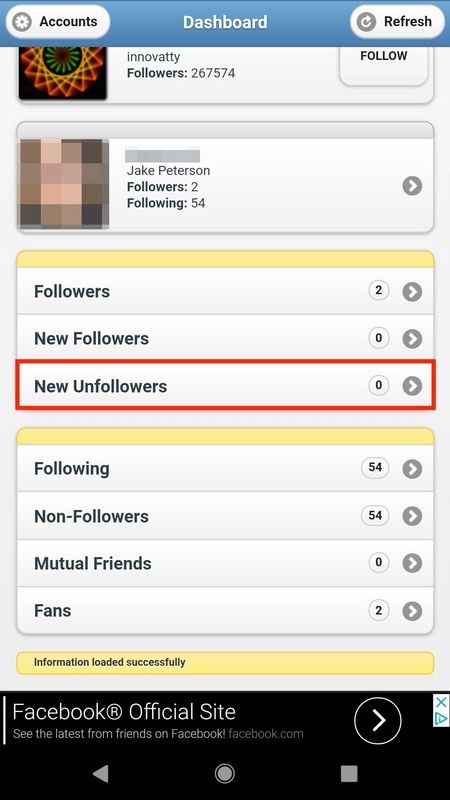 Among followers, new followers, non-followers, and mutual friends, you'll find "New Unfollowers." Followers+ for Twitter isn't necessarily clear about how "new" these unfollowers are, but they offer the stats all the same. As long as you periodically check in here, it shouldn't be a problem.